Urban models can be seen on a continuum between iconic and symbolic. Generally speaking, iconic models are physical versions of the real world at some scaled down representation, while symbolic models represent the system in terms of the way they function replacing the physical or material system by some logical and/or mathematical formulae. Traditionally iconic and symbolic models were distinct classes of model but due to the rise of digital computing the distinction between the two is becoming blurred, with symbolic models being embedded into iconic models. However, such models tend to be single user. This paper demonstrates how 3D symbolic models in the form of agent-based simulations can be embedded into iconic models using the multi-user virtual world of Second Life. Furthermore, the paper demonstrates Second Life's potential for social science simulation. To demonstrate this, we first introduce Second Life and provide two exemplar models; Conway's Game of Life, and Schelling's Segregation Model which highlight how symbolic models can be viewed in an iconic environment. We then present a simple pedestrian evacuation model which merges the iconic and symbolic together and extends the model to directly incorporate avatars and agents in the same environment illustrating how 'real' participants can influence simulation outcomes. Such examples demonstrate the potential for creating highly visual, immersive, interactive agent-based models for social scientists in multi-user real time virtual worlds. The paper concludes with some final comments on problems with representing models in current virtual worlds and future avenues of research. Urban models mean different things to different people and there are many differing classifications dating from the time when the term model first became popular in the social sciences during the 1950s and 60s. One of the most widely recognised classifications of urban models is that by Lowry (1965), who defined models on a continuum between the iconic and the symbolic. Iconic models are physical versions of the 'real' thing, normally scaled down. Typical traditional examples include the architects' block model and 2D cartographic maps. Symbolic models represent the system in terms of the way they function, often through time and over space. Such models replace the physical or material system by some logical and/or mathematical formula, often in the form of algebraic equations within a digital form (e.g. a computer) such as in the case of land use transport models (e.g. Batty 1976). However, the distinction between the two is increasingly being blurred. For example, the iconic representation of the city within a 3D geographic information system (GIS) such as the Virtual London Model (Batty and Hudson-Smith 2005) are digital manifestations of the architects block models and can potentially act as a container in which symbolic models are run (Batty et. al. 2006). Such digital worlds which merge the iconic with the symbolic gives us unprecedented power to understand, simulate, explore and visualise cities especially when combined with agent-based models. This was not possible hitherto and it coincides with the way we currently conceptualise and model cities. This has changed from the aggregate to disaggregate, and from the static to the dynamic taking ideas from complexity science. Agent-based modelling (ABM) provides us with tools to explore this change in approach. Specifically it allows us to explore the reasoning on which individual decisions are made and how such decisions lead to more emergence structures evolving. The dominant way of delivering both iconic and symbolic digital models to individual users is through a standalone computer. For example, iconic 3D city models can be created in a GIS, and shared with others through Google Earth. Symbolic models are often shared in a similar way; for example, one can create a model in NetLogo and share the model with others over the internet through a web applet. Communication of such a model with users can be done through email, instant messaging and video conferencing such as Skype but this is essentially one to one or one to many communication. Similarly realistic looking agent-based models can be created in 3D software modelling or graphic packages such as Quadstone Paramics or 3D Studio Max, whereby cityscapes can be used as a backdrop to such models, as for example the traffic simulations, but again these are predominantly presented in single user environments and the majority of the outputs are movie based. In contrast, virtual worlds such as Second Life, Active Worlds and OpenSim offer a medium for linking iconic and symbolic models, and delivering such models in a real time, collaborative, multi-user 3D immersive environments, thus enabling large numbers of users to access and manipulate such models. Virtual worlds can be accessed over the web by many different users who appear as avatars. An avatar is a computer user's digital representation of himself/herself which can take many shapes and forms, the most common being the human. Multiple users can communicate via instant messaging and voice over IP, opening up the potential for participatory modelling whereby modellers and decision makers can be brought together to communicate and interact with such models. By their very nature, virtual worlds tend to be overtly visual. This is not only important with respect to human to computer interaction, as visualisation is the main way we interact with and access computers, but more specifically visualisation is one of the most effective ways to communicate key model information with regard to ABM (North and Macal 2007). Some argue that the by making models more visual they become more transparent (Batty 2007) but also visualising key model processes helps to convey the model clearly and quickly (Kornhauser et al 2009). Combining iconic and symbolic models in virtual environments enables model designers and users to actually observe their model operation in computer time in a semi-realistic environment and to evaluate the models performance. Specifically in relation to agent-based models where we are predicting human behaviour, we can sense how close their behaviour is to our own experience. The purpose of this paper is to introduce readers to the virtual world of Second Life, and to demonstrate how such an environment can be used for ABM, in particular illustrating the integration of symbolic models with iconic structures. To do this we first introduce two exemplar models, Conway's Game of Life and Schelling's Segregation Model. These models not only demonstrate how symbolic models can be embedded within an immersive iconic environment but also allow us to imagine how one can interact with and potentially communicate such models to a wider audience. We then introduce a pedestrian evacuation model as a 'proof of concept' which combines both symbolic and iconic styles of models into a single form. 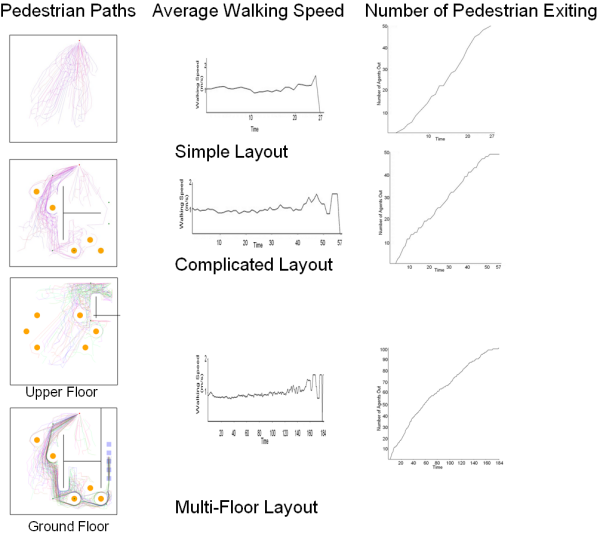 Subsequently we explore how people, as avatars, can interact with simulated agents in an extension of the pedestrian evacuation model showing how the simulation outcome is affected, thus reducing the continuum between the symbolic and iconic models further. We conclude with discussion and highlight areas for further work. We chose Second Life for several reasons. Not only is it one of the most visual and powerful virtual worlds currently available with a scripting language which allows objects such as buildings to be created (see 2.6), but it also represents the most successful social/visual environment on the web. At the time of writing Second Life had over 14,000,000 registered users with over 400,000 visitors a week (Linden 2008). Launched in 2003 with little more than a few kilometres of simulated computer space, it now covers more than 750 km2 (Ondrejka 2007). Initiated by Linden Labs, the world of Second Life has been created almost in its entirety by its users. For example, residents spend a total of 23,000 hours a day creating objects from items of clothing to houses (Hoff 2006), therefore represents an excellent example of crowd sourcing (Howe 2008). Users have created its digital geography in its purest geographic sense. The rolling fields, rivers, valleys, mountains, hamlets and towns that occupy the ever growing space have been created piece by piece by the millions of users and every part of Second Life's visual space remains editable. Users are free to enter Second Life, chat and begin exploring but if one wants to start 'building' one has to register and purchase land. Players spend an average of $350,000 a day, or $130 million a year (Avasthi 2006). Virtual worlds are increasingly being used as a medium for social interaction and work related activities such as teaching. For example, many companies, organisations and academic institutions have bought land in Second Life, including IBM, Sony-Ericsson, Oxford University, and Nature Publishing, to name but a few. Building store fronts, virtual campus's or headquarters where their employees' avatars can do business or promote science (see Hackathorn 2006). Second Life provides a rich environment for teaching, learning and outreach (see Kluge and Riley 2008). Our section of land in Second Life can be found on Nature Island (Nature 2008), a plot of land set up by the Nature publishing group to encourage scientific research and outreach which they have 'leased' to us. Second Life and other virtual worlds such as Active Worlds are classed as multi-user virtual environments (MUVEs) which are created to engage a community of users where people can be active users, contributing to sites and participating in site content in real time through the internet. Users through their avatars are able to see the 3D world, to turn around and look at fellow avatars, whilst holding a conversation, through voice chat, text based group discussions and instant messaging which all introduce a meaningful level of social interaction (Hudson-Smith et al 1998). Such environments are open to whoever is connected to the internet (with obvious limits of membership, censorship, etc). This literally puts users 'in' the internet, rather than 'on' it. The ability of many to engage and interact is the key feature that defines Web 2.0 technologies where interaction is key and where most interaction is currently achieved through graphical user interfaces (GUIs, Hudson-Smith et al 2009). A common misconception of MUVEs is that they are gaming environments. However, MUVEs differ from the popular massively multiplayer online role playing games (MMORPGs) such as World of Warcraft, EverQuest and Star Wars Galaxies, as there are no explicit goals, quests or winning outcomes. They are purely an environment for exploration of space and aim at establishing a general virtual meeting place where social interactions are possible. For example, within Second Life, interactions range from buying and selling virtual or real goods or playing as a 'real' DJ in a virtual club (see Rehm and Rosina 2008). Such electronic environments offer new potential for study, education and outreach across all the sciences albeit in the virtual world (see Bainbridge 2007 for a detailed discussion). It allows one to extend studies in areas such as the emergence of cooperation (e.g. Nardi and Harris 2006), the evolution of social norms (e.g. Yee et al 2007), epidemic modelling (e.g. 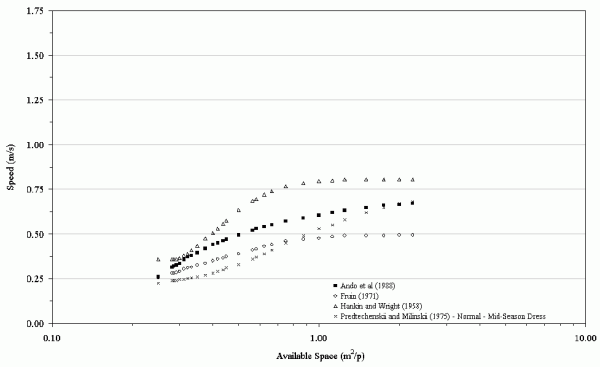 Kafai et al 2007), and urban growth (e.g. Dodge and Kitchin 2001), for example, within virtual environments based on understanding from the 'real' world. Within the realm of urban modelling, these virtual worlds offer the opportunity to practice, simulate and visualise design or planning issues in real time in the 'safe' environment of a computer (Hudson-Smith et al 1998), thereby linking iconic and symbolic models. The following section briefly outlines the basic elements of how objects such as buildings are created in Second Life. However, a caveat is first required. This section is not intended to be a tutorial but to act as an overview. Readers interested in a more detailed explanation are referred to Rymaszewski et al. (2007). 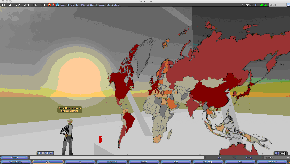 In Second Life as in other virtual worlds, users are provided with open-ended modelling tools with which they can create and modify world content (Merrick and Maher 2007). Many virtual worlds including Second Life have the following features (Hudson-Smith et al 1998): insert/delete objects in scenes at run time; track and communicate the state/behaviour of objects in real-time; allow (sets of) objects to be 'driven' by users in real-time; let imported objects become persistent; support persistent roles (for people) and rules (for scenes); link objects dynamically to external data/functions; and support the free exchange of information among objects. Within Second Life, the virtual landscape can be extended using a combination of primitive shapes and textures to create new buildings, plants, animals and other artefacts. Linden Labs allows access to its application programming interface (API) which in turn allows agents and other objects to be written in Linden Scripting Language (LSL) an internal, event-driven, C/Java-style language. LSL has much of the functionality of a full programming language allowing agent-based models to be integrated into the system. While LSL could be considered as just another programming language for the creation of agent-based models, and Second Life as another ABM toolkit, the ability to build any type of object, import textures from graphic image files, apply them to agents to generate a more rich and realistic appearance in a multi-user 3D immersive environment, is appealing. 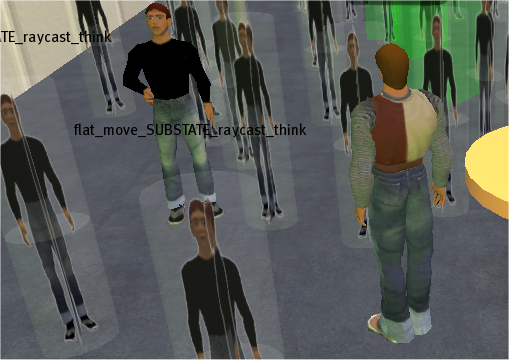 Through LSL, rules can be assigned to objects and sub-objects, allowing one to control object and avatar behaviour and thus creating dynamic behaviours. The use of LSL also has the added advantage of allowing one access to over 3300 built-in functions including collision detection, physics simulations and communication between objects to name but a few. The basic building blocks within Second Life are known as primitives, or 'prims' where a prim is a basic 3D geometric object which makes up all Second Life objects. Prims are one of several 3D shapes: a box, a cylinder, a prism, a sphere, a torus, a tube, or a ring, and we illustrate these basic building blocks in Figure 1. Objects are linked groups of individual prims containing from 1 to 255 prims (Rymaszewski et al 2007) and this allows for objects to be built. For instance, a Second Life user can build a functional piano object out of virtual building blocks (prims) endowed with various physical and behavioural properties. Furthermore, textures can be mapped onto the objects to give them a more realistic appearance. As mentioned earlier, to build objects in Second Life, one needs land. A basic parcel of land measures 256m by 256m and supports approximately 14160 prims. For every 4.3m of land there is 1 prim with a maximum size imposed on one prim of 10 metres. This is imposed by Second Life to allow computer servers to operate efficiently. To demonstrate how building blocks within Second Life can be combined together to represent iconic models, we illustrate this with our own work. Our interest in Second Life is in to the extent to which we can use it as an urban laboratory, exploring issues of urban planning and public debate in a visually collaborative environment. To this extent, we are working on the importation and visualisation of geographically tagged data including buildings such as our Virtual London model (Batty and Hudson-Smith 2005) as shown in Figure 2A, and maps as shown in Figure 2B. Other work pertains to the visualisation of the built environment including photo-textured building facades and 'step inside' urban spheres, all of which provide a sense of place but also demonstrate how iconic models can be incorporated into virtual worlds. Most of our visualisation work is static, while Second Live provides a means to model the dynamic behaviour of objects, therefore making it possible to merge iconic and symbolic models especially for the creation of highly visual and interactive 3D agent-based models. Figure 2. Iconic Models within Second Life: Visualisation of Data. Like other simulation and modelling systems, there are disadvantages associated with using Second Life for ABM. Not only is there a limitation on the number of objects and therefore the number of agents that can be created within Second Life for a given piece of land but there are three further issues. First, there is a limit on the size of a script file (currently this is 64KB). Scripts can be chained together but this still limits the ability to deal with the thousands of commands required for large-scale models or for agents to engage in learning. Secondly, complex simulations are slow to run due to server side delays on certain built-in global functions. Thirdly, for models to remain persistent, one needs land which has an associated cost. These are notable limitations but as this paper is aimed at highlighting the future potential of virtual worlds using ABM, these concepts still hold true despite current restrictions. While agent-based models can be created directly using LSL, the limitations noted above have led some researchers to favour a loose coupling approach (e. g. Merrick and Maher 2007). Such an approach allows agent-based models to be created in another language such as Java or C# and communicated with Second Life via remote procedures such as XML-RPC or HTTP requests to the Second Life server. Second Life is only used to collect and display information. Despite this approach limitations, remain, relating to execution speed and bandwidth limits. For example, Merrick and Maher (2007) comment that with this loose coupling approach, there can be server side delays as only 256 characters per message can be sent between the client application and the Second Life server, thus reducing the number of properties each object can have. Merrick and Maher (2007) envisage that these limitations will disappear with improvements in virtual world technologies. One advantage of an isolated system is that it is easier for debugging due to the relative ease in locating execution errors in linked systems. With these limitations acknowledged, our models to which we now turn are entirely written in LSL, and we only take the isolated approach to record agent movement and to create graphs within the loosely coupled feedback loop. The structure of a typical agent-based model is composed of agents/objects/components which interact with each other and with their environment(s) (Castle and Crooks 2006). This structure is broadly mirrored within virtual worlds with avatars and objects which interact with each other. Both can be considered as 'synthetic worlds' but in the case of virtual environments, they are populated by both 'synthetic' (simulated) and 'real' people in the form of avatars. This is an important aspect in the use of virtual worlds in general for ABM, as behind avatars are people who can interact with the synthetic model environment, adding another dimension to the level of possible analysis and outcomes. Agent-based models are usually considered as forming a miniature laboratory where the attributes and behaviour of agents and the environment in which they are housed, can be altered. In turn they can be experimented upon and the repercussions of such experimentation observed over the course of multiple simulation runs. Similarly virtual worlds provide electronic environments that are designed to visually mimic complex physical spaces, whereby people can interact with each other and with virtual objects. The ability to simulate the individual actions of many diverse agents and measure the resulting system behaviour and outcomes over time means that agent-based models can be useful tools for studying the effects on processes that operate at multiple scales and organisational levels (Brown 2006). Such models thus roughly approximate the notion of 'generative social science' (Epstein and Axtell 1996) demonstrating that certain sets of micro-specifications are sufficient to generate the macro-phenomena of interest. Epstein (2007) proposes that such models should be 'grown' within such simulation laboratories, thus explicitly rooting such models in temporal dynamics. 'Generative social science' is widely regarded as one of the grand challenges of the social sciences (Buchanan 2006). Virtual worlds offer the potential to move from an artificial laboratory on the desktop into a more collaborative 3D environment comparable to a real-world laboratory accessible by others where they are able to visualise and discuss models in real time. This environment potentially provides an effective medium for clearly communicating models and results between developer and users offering a unique way for the exploration and understanding of social processes by means of computer simulation. Not only does this aid in the understanding of such models but it also provides a unique opportunity for outreach to the wider scientific community. ABM in Second Life has mainly focused on biological systems to date, specifically evolution and the change in the inherited traits of a population of organisms from one generation to the next. A core example is on the island Terminus where 'living' creatures survive, reproduce and interact according to simple rules. Through these simple rules, the goal is to implement the simplest possible features of an organism in a way that still allows for flexible and varied behaviour (Hart quoted in Inman 2007), therefore allowing a fully functional ecosystem to develop. Similar is the island of Svarga where rain allows plants grow, bees pollinate the plants, and subsequently plants slowly evolve. The simulation allows for experimentation, where turning off the clouds or wiping out the bees results in a chain reaction killing the entire ecosystem, thus delivering a subtle conservation message. Another example of a biological agent-based model within Second Life is ant foraging (Tectonic 2007) and finally Merrick and Maher (2007) have explored the herding behaviour of sheep and the resulting flocking characteristics using motivated reinforcement learning. The sheep are agents with sensors allowing them to monitor objects (the environment and other sheep), avatars, and their location in the world. These ecological models demonstrate that Second Life has the potential to create immersive learning experiences from virtual experiments and simulation through to real-time collaboration and virtual lectures. Perhaps its greatest contribution—intentional or otherwise—to the real world might thus be as a learning tool. While it is clearly possible to create agent-based models in Second Life, little research has been done on more intricate social simulations within the world. To highlight how Second Life can be used for social science ABM and more specifically how symbolic models can be represented within a iconic environment, we will present two simple models: first Conway's Game of Life and secondly Schelling's Segregation Model. These models were chosen as they highlight how classical automata styles of model, which have inspired a generation of modellers, can be created and explored in Second Life and how users can interact with such models. The models can be seen on our "Agent Street" which we highlight in Figure 3. All the models presented in this paper were created using LSL and all the agent behaviours and rules are executed within Second Life. We provide all of the model code, further technical details about model implementation and movies of the models in action at http://www.casa.ucl.ac.uk/abm/secondlife. The provision of code additionally allows for replication and docking of the models with other programming languages and software. Alternatively readers can visit the street in Second Life and click on the model vending machines as shown in Figure 4 where the models can be downloaded and saved. Such vending machines are common features in Second Life and allow users to store objects and scripts in their personal inventory for later use. Due to confines on space, we present a brief description of each model, its main elements and some basic results highlighting how such models can be created in Second Life. It is not the intention of this paper to act as a tutorial for the creation of agent-based models in Second Life. If the reader requires more detailed information the place to visit is the web site above. While these are only table top models, they could be extended just as the Schelling model has been to real world applications utilizing geographical information systems (e.g. Benenson et al 2002), albeit in a virtual world. We have demonstrated in 2.6 how geographical data can be imported into Second Life and this could be a basis for such an extension to the Schelling model. The purpose of the first model is to demonstrate how a simple automata based model can be created using prims and how their behaviours can be modified leading to the emergence of more complex structures within Second Life. We chose John Conway's 'Game of Life', a 'classic' cellular automata (CA) model, for several reasons. First, it was one of the earliest examples of emergence and self organisation; secondly, it has been an inspiration to numerous scientists; and thirdly it demonstrates how the initial state or initial conditions on the distribution of automata determine the evolution of the system. Any live cell with fewer than two live neighbours dies (e.g. loneliness). Any live cell with more than three live neighbours dies (e.g. overcrowding). Any live cell with two or three live neighbours survives, unchanged, to the next generation. Any dead cell with exactly three live neighbours comes to life. From these simple rules and the initial configuration of 'dead' and 'alive' cells, it is possible to generate the emergence of numerous patterns as we demonstrate in Figure 5. These include static patterns, repeating patterns ("oscillators"), and patterns that translate themselves across the board ("spaceship"). To provide users with the opportunity of interacting with the model, we have designed a control panel with a series of initial configurations (as shown in Figure 6A which are based on patterns from Figure 5), the user can select and see how the system evolves. Additionally we allow the user to start off with a blank board and add their own 'alive' cells as we highlight in Figure 6B, and then start the model, thus demonstrating to the user how initial configurations of the model impact on the patterns that emerge. A: Allowing the User to Select a Preconfigured Distribution of 'Alive' Cells From the Control Panel. In our second example we move from CA based models to an agent-based model operating in cellular space, namely Schelling's (1971) model of segregation. Unknowingly, Schelling was one of the pioneers in the field of ABM (Schelling 2006) and has generated and much research around the segregation phenomena (see Crooks 2008 for a discussion). In essence, Schelling demonstrated how geographical segregation along racial lines could result from mild discriminatory choices by individuals. 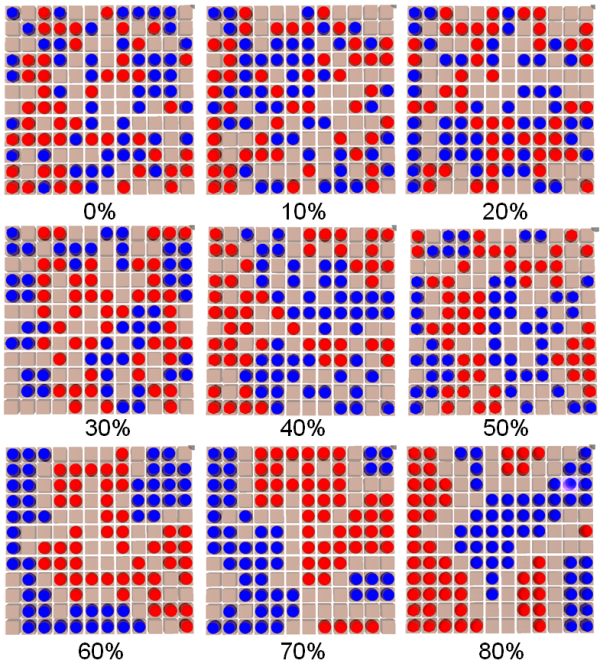 As with Schelling's original work we use a two-dimensional checkerboard (12 by 12 grid), which could be imagined as representing a city, with each square of the board representing a house or a lot, in which equal numbers of two types of agents (48 of each type) represent two groups in society. 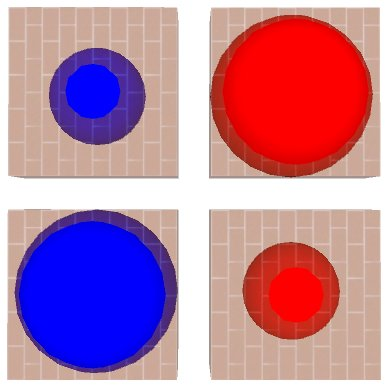 Within this model we use red and blue agents but these types can be used to compare different social classes, racial groups, etc. Initially these agents are placed at random across the board, with no more than one per square and a small number of squares left vacant. To avoid studying the effects of restricted movement Schelling (1971) suggests 25-30% vacancy to allow for freedom of movement, and thus within this model we have 48 empty cells. The rule driving the model involves whether an agent decides to move or not. The agent decides to move from its square to an empty one if less than a specified percentage of its neighbours (based on a Moore neighbourhood) are of the same type as itself (we consider an agent living by itself to be satisfied). The game progresses in a series of steps, where at each step, an agent is given the option to move. An agent is chosen at random and can decide whether to move or not. Thus agents move if they are dissatisfied with their current neighbourhood. If the agent decides to move, the agent moves to the nearest vacant square that meets its demands for a specific neighbourhood configuration (Schelling 1971). The simulation progresses until all agents are satisfied with their neighbourhood configuration. To further aid understanding of what is happening, we use two different physical sizes to represent the agents. Large agents are satisfied and smaller agents are dissatisfied with their current location as highlighted in Figure 7. Figure 8 represents such a progression from where the agents are randomly scattered across the board until all agents are satisfied with their neighbourhood configuration. In this case, agents want to be located in areas where at least 50% of their neighbours are of the same type as themselves. As the simulation progresses, the two types of agents divide themselves up into sharply segregated groups and the number of smaller (dissatisfied) circles decreases. 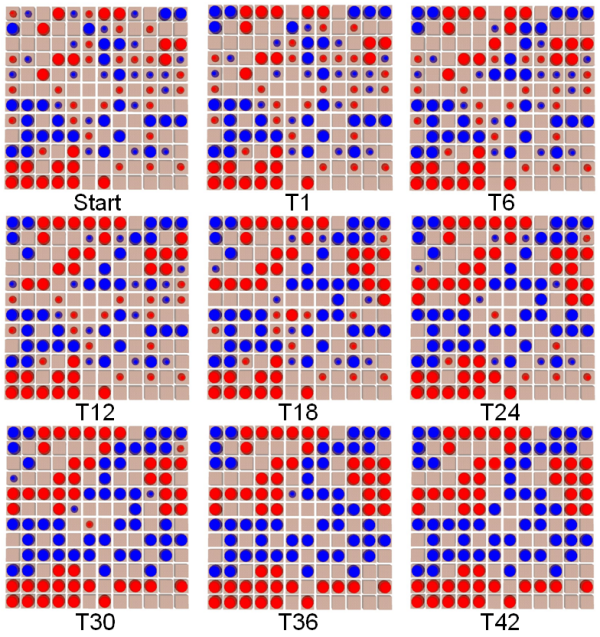 The model shows that segregation emerges through mild preferences to locate amongst like-demographic or economic activity groups, and that strict segregation emerges unknowingly. Figure 9 highlights the segregation model itself, including the two-dimensional checkerboard, the graph and the control panel. The graph records the number of satisfied agents of both types during a simulation run (on the y axis). This was included to show that over time (x axis), the number of agents dissatisfied with their neighbourhood changes. The aim was to demonstrate how neighbourhood preferences impact on the pattern of segregation. The control panel allows users to select the agents' preferences for specific neighbourhood configuration at the start of a simulation run. Under different neighbourhood preferences, different degrees of neighbourhood segregation can be seen to emerge as illustrated in Figure 10. As one would expect, higher preferences not only result in more segregated neighbourhoods but the model takes longer to stabilise, with 90% neighbourhood preferences not reaching equilibrium. This is caused by agents moving from one area to another area and potentially causing the other agents in the new area to become dissatisfied as well as the lack of empty areas. The exemplar models above are symbolic models within an iconic environment, and thus essentially 3D table top models. Within this section, we merge the iconic and symbolic together in the form of a basic 3D agent-based pedestrian evacuation model using actual 'life-size' building blocks whereby agents interact with each other and their surrounding environment. We chose such an application because ABM is particularly suited to topics where understanding processes and their consequences are important (Gilbert 2007). As noted above, agent-based simulations serve as artificial laboratories where we can test ideas and hypotheses about phenomena which are not easy to explore in the real world. One such example is pedestrian evacuation. For example, without actually setting a building on fire we cannot easily identify people's reactions to such an event. ABM, as with simulations in general, allow for such experiments. Rather than setting a building on fire, we can re-create the building in an artificial world, populate it with artificial people, start a fire and watch what happens. Such simulations allow the modeller to identify potential problems such as bottle necks and allows for the testing of numerous scenarios such as the way various room configurations can impact on evacuation time. Furthermore, this model demonstrates how more complex models and analysis can be carried out using Second Life and allows others to explore such simulations in near real time. As the model is more complex than our previous two, the following subsections will provide brief details of the model, we will describe the environment (4.3), the agents (4.5), the key processes within the model and some basic model results (4.9) before briefly discussing how the model can be adapted so that agents are able to react to avatars (4.14). However, before introducing the model a caveat is needed. The model is purposely kept simple with agents having simple rules governing their behaviour and movement, Castle and Longley (2008) review several more complex pedestrian evacuation models that have been developed but our intention here is to not evaluate actual buildings, but to act as a 'proof of concept', to demonstrate Second Life's ability to incorporate a range of modelling styles and its ability to merge iconic and symbolic models in a multi-user 3D environment. We represent the enclosure as a continuous space in contrast to the more common regular lattice (grid) or coarse network enclosure representations (see Castle 2007a). Agents are not restricted to discrete cells nor represented as flows, enabling us to simulate pedestrian movement more explicitly. Castle (2007a) comments that the pedestrian movement is defined by an individual's walking speed and a velocity vector corresponding to their orientation, where orientation is determined by a pedestrian's location in geometrical space with respect to their individual goal (i.e. their nearest exit). Stationary obstacles such as tables and walls, as well as non-stationary obstacles (i.e. other pedestrians), will have an effect on occupant movement. Generally, pedestrians assess a local area themselves (e.g. using a spatial buffer of a specified size) in order to adjust their walking speed (e.g. decelerate when approaching congestion), and a minimum personal space that stationary and non-stationary obstacles cannot encroach upon. Within Second Life, it is relatively easy to build and alter structures. In our example, we have three basic preconfigured room configurations from a simple layout, a more complex layout with internal walls and tables as obstacles (both of which have 50 agents) and a two story building where the floors are connected by a staircase as shown in Figure 11 (where we have 50 agents per floor). Each room measures 20m by 20m. This is not to say real world buildings could not be represented but one could use any type of building based on real world examples. However as stated above, it is not our intention to model a real building but to act as a 'proof of concept' and the provision of the code may assist others in extending the model if desired. Emergency exit signage is important when it comes to evacuation of buildings for exit routes need to be simple and clearly visible for greatest exit efficiency (Nelson and Mowrer 2002). Within the model, we use emergency exit signage for way-finding (see 4.5) and the pedestrian follows such signage to the exit and the three layouts allow us to test how internal building layouts impact on evacuation time. Each pedestrian is defined as a moveable object and we have attempted to make the agents look a little 'life like' as we highlight in Figure 12. Furthermore, we give the agents real anthropomorphic dimensions which are defined by shoulder breadth and chest depth. These are set to 43 cm and 25 cm respectively, that is values that correspond to the medium anthropomorphic dimensions of an unclothed British man or women (Pheasant and Haslegrave 2006). The height of the agents is 2m, this reflects avatars in Second Life which on average are 2m tall. People also walk at different speeds; the speed at which a pedestrian can walk is dependent upon their available space (i.e. density of pedestrians in a local area) and the local terrain (e.g. upstairs, level surface) as demonstrated in Figure 13. Clearly walking speed increases up to a certain point when there is more available space. 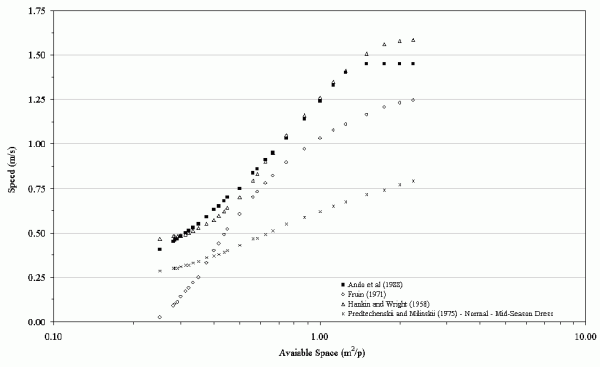 For example, Ando et al (1988) state that the lowest walking speed is approximately 0.35m/second when the available space is 0.25m2/person rising almost linearly before plateauing at approximately 1.35m/second when available space is 1.5m2/person. Walking speed is further complicated by purpose (e.g. shopping, commuting, evacuation, etc. ), nationality, age and gender (Castle 2007b). Nelson and Mowrer (2002) also note that humans have a psychological preference to avoid bodily contact defined by Fruin (1971) as the 'body ellipse'. Within this model, we use the Ando et al (1988) walking speed and use the agents anthropomorphic dimensions to act as their body ellipse for simplicity. An avenue for future work includes experimenting with different walking speeds and body ellipses and exploring how this affects simulation outcomes (such as evacuation times). It would also be possible to give agents different anthropomorphic dimensions, gender, age and walking speeds dependent upon the above, thus permitting to a more heterogeneous population. Furthermore, the model does not consider the propagation of smoke in the building, a process which is well documented (e.g. Proulx 2002), as this is beyond the scope of this study. Pedestrian route-choice is an important consideration when it comes to the evacuation of buildings. However, since a pedestrian chooses a route from an infinite set of alternatives, this leads to a series of challenges, both in terms of theoretical and practical problems in describing pedestrian behaviour (see Hoogendoorn and Bovy 2004, for a summary of route-choice behaviour research). Two common approaches for route-choice are shortest path or following emergency signage. The shortest path approach is based on the notion that individuals wishes to minimise the distance they have to walk which is not necessarily the route indicated by emergency signage. Both approaches relate to the pedestrians enclosure perspective, which varies when they know or do not know their environment. People familiar with the building would have global knowledge of the building (i.e. they are able to calculate the shortest path) while visitors would have limited knowledge of building layout and are more likely to follow emergency signage (Castle 2007b). Here we choose the simplest option where pedestrians follow emergency signage to the exit. As noted, the pedestrian evacuation model is more complex than the previous two models, therefore we trace out the key simulation processes. To start the model, the user needs to choose one of the building layouts. 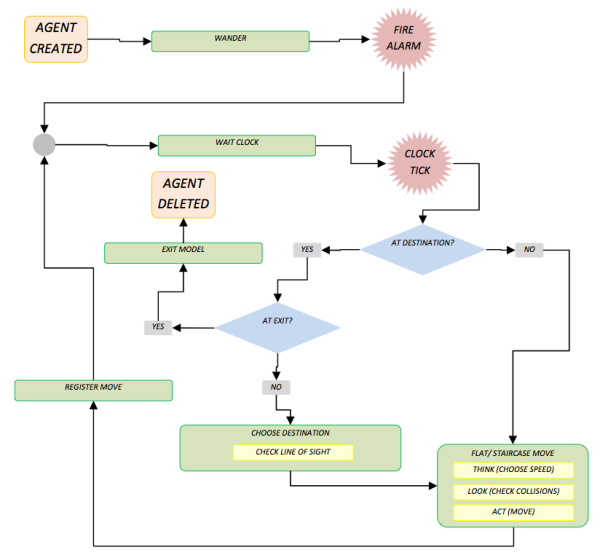 Once this is done, the building is created; agents are placed within it and wander randomly until an alarm is sounded (Figure 14). Once the alarm is activated it takes 20 seconds for the agents to react to it. At each model tick (model second), all the agents have the option of moving and simultaneously checking to see if they are at a specific destination (e.g., fire exit sign, stair case, exit etc.). For each agent, if the answer is yes it then checks to see if it is the exit, in which case the agent is removed from the building. If it is not an exit, the agent chooses a new direction to walk based on its line of sight. If the agent is not at its destination, it checks whether it can move to a new location without colliding with other agents. This decision is made by calculating its maximum walking speed, a process based on the density of surrounding agents and their walking speed. Once the agent moves, its new position is recorded and sent to the PedTrace module (see below). When agents have made their move, they remain stationary until the next model tick (which occurs when all the agents have had the option to move) before repeating the process. As time within Second Life equates to 'real' time, watching any agent-based model in Second Life is 'real'. However, the execution of one second (tick) of model time takes longer than one second of 'real' time due to server requests, delays etc. While every effort was made to make the script as efficient as possible the authors believe that the only way to run the simulations in 'real' time is to wait until the Second Life server speeds up substantially through technological advances. We are not able to validate the model per se, except through testing its plausibility in commonsense terms. Although this is an avenue of future work, we can verify the models structure. Verification was achieved by building the model iteratively and unit testing the model code at every step during the model development process. To help verify the model, we linked it to a custom built web application, PedTrace, running on a web server outside Second Life. Messages are sent between the two via HTTP messages, the web server records the position and speed of each pedestrian at every second of the model. 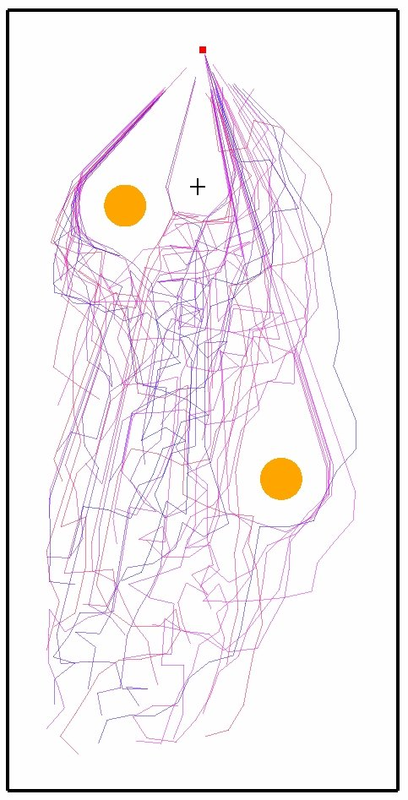 PedTrace uses this data to generate movement trace images and two graphs: the total number of agents exited graph and an average walking speed graph. Thus, we are able to track the simulation history as advocated by Axelrod (2007) and map the outcomes to see if it 'looks right' (Mandelbrot 1983). Through PedTrace, we are able to visually interpret how the different room configurations can help enhance our understanding of how the model works and also test model sensitivity. For instance, we can explore how the density of pedestrians results in congestion near exits and doors, impacting on walking speeds and evacuation time. Figure 15 displays three typical simulation runs and information from PedTrace for the three different room configurations. These include all paths walked, average walking speed (metres per second), and the total number of agents that have exited the simulation during a simulation run. In the simple layout example, once the alarm is sounded agents walk to the exit. It takes 27 seconds for all the agents to leave the building with walking speeds ranging from 0.9 to 1.7 metres per second, as there are less agents in the room. For the complex building layout where agents have to avoid obstacles including tables, the total time for all the agents to exit the building is 57 seconds. This is a result of the agents not being able to walk straight to the exit due walls and tables being placed in the room. The simple layout walking speeds range from 0.9 to 1.7m per second. In the multi floor example, it takes 184 seconds for all the agents to exit the building once the alarm is sounded. This is a result of more agents (100 instead of 50 in the previous two examples) and a more complicated layout where agents need to walk further to exit the building. The average walking speed varies between 0.7 to 1.5 metres per second. From the traces, one can identify bottlenecks such as the top of the staircase. Such a model demonstrates that the speed of occupant movement is dependent upon surrounding space available, terrain, as well as the characteristics of each pedestrian. From an examination of the pedestrian traces, especially in the multi floor example, one issue we feel needs to be briefly discussed is the route choice and collision detection mechanism implemented. In our model, agents are allowed to walk towards the exit until they encounter an obstacle, in which case they randomly choose to go left or right. This occasionally leads agents to walk a longer route to the exit rather than following the straightest path which is apparent in the pedestrian traces. However, when an agent does not take the most direct route, for example, due to loosing sight of the exit signage, it is still restricted by the walls and tables. This problem could be overcome with the agents being forced to check their route direction (line of sight) every time they move and not every time they reach their destination and by choosing a new route as described above. The model so far demonstrates how iconic and symbolic models can be merged together in a multi-user environment accessible to anyone with internet access and a suitable computer. However, users in the form of avatars could only visualise how agents exited the building (in a similar way to professionally developed 3D pedestrian modelling software packages such as STEPS). In this section, we extend the model, so that agents not only consider their environments but also other avatars. In this sense we are not only incorporating iconic and symbolic modelling styles but also adding a further human dimension, moving towards an augmented reality (i.e. as if the agents and the humans were in the same crowd). Within virtual worlds, it is possible to imagine a mix of 'real' users with simulated actor agents, where the purpose of interaction reflects the role for which the virtual environment was constructed (e.g. from travellers and virtual travel agents (Berger et al 2007) to evacuation scenarios as in the example that follows). To demonstrate this we modified the pedestrian evacuation model to enable agent awareness of avatars and with subsequent avoidance behaviour, as highlighted in Figure 16, to see how pedestrian paths change accordingly. For this, we use a room measuring 10m by 20m with 50 agents and two tables and record the agents movement using PedTrace. Figure 17A shows a trace where agents avoid obstacles such as tables but no avatar is present, while Figure 17B demonstrates how an avatar stationed near the exit impacts on pedestrian egress as agents have to move around it. This raises questions with respect to Second Life's ability to support "artificial" avatars (i.e. not controlled by real people but by the computer). This might allow some interesting work on participatory simulation and it raises some intriguing ethical issues. For example, if you are not allowed to kill a real person in a crowd experiment, can you kill their avatar without their permission to save real lives within the simulation? Within the field of urban modelling, iconic and symbolic models were traditionally developed by different disciplines and professions. However, the gap between the two has narrowed with the growth of digital computing and the rise of 3D environments. Yet applications linking the iconic and symbolic worlds still tend to be based on single users' desktop environments. The growth of virtual worlds such as Second Life allows for symbolic models to be incorporated into 3D iconic environments which are accessible to multiple users in near real time. This moves the environment from an isolated laboratory on the desktop into a more collaborative 3D digital laboratory. This paper has demonstrated how symbolic agent-based models can be incorporated into 3D virtual worlds which are open to anyone with an internet connection. Furthermore, we have demonstrated how 3D symbolic and iconic models can be merged together and how people can not only interact with such models but also become part of the model and affect simulation outcomes. Such a highly visual and immersive medium offered by virtual worlds has the potential to greatly aid in the dissemination of such models. The visualisation and communication options provided by virtual worlds such as Second Life allows us to address the challenge modellers face on how we might communicate and share agent-based models with all those we seek to influence (Crooks et al 2008). In the past, this was mainly done through discussion of model results. Through Second Life, it is possible to share modelling processes and outcomes with various non-expert participants in a way unimaginable ten years ago. Multiple users and modellers can be in the same virtual space but spread out over the world communicating by text or voice over IP in real time which is not easily achievable in other modelling environments. Such a medium potentially allows for a 'meeting' point for interested parties such as academics without the need to travel to workshops or classes. Furthermore, such an environment may allow non-experts to participate in actual model construction. It could offer an environment for rapid prototyping of ideas in near real time, engaging both modellers and multiple stakeholders under which key policy initiatives could be tested on large scale populations simulated at the individual level. However, there are also disadvantages with using Second Life as a medium for the creation of agent-based models. As with other virtual worlds, there are limitations which illustrate the deficiencies of the internet (Chen et al 2006). These include its high latency (slow packet delivery speed) and low bandwidth (the amount of information that can be delivered in a given period of time), constraints imposed by the technology (i.e. limited number of objects, server side operations, etc.) and scheduled downtimes. However, as discussed in the introduction, the purpose of this paper is to show the potential of virtual worlds for ABM along with linking iconic and symbolic models in a single environment. The problems mentioned above should decrease over time. 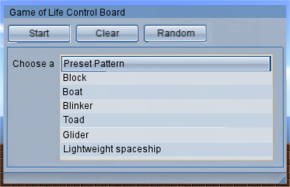 For offering a platform for ABM, Second Life has a huge amount of in-built functionality which reduces the burden modellers face in programming parts of the simulation which are not content specific (e.g. the GUI). As with any type of model, increasing the complexity of the model by integrating more rules, generally results in models that take longer to run, which is an issue for real time simulation. Furthermore, Second Life is not open source, and thus it is difficult therefore to tell if bugs within the code or the software exist, such as collision detection errors noted in the pedestrian evacuation model. Additionally, Second Life is not particularly well suited for graphing and storing model information. While simple graphs are possible such as in our Schelling model, for more complex data storage a loose coupling approach is needed, where information is passed between the Second Life server and a local computer (as in the case with PedTrace). Some of these issues may disappear with technology advances and Second Life server updates. However, perhaps the largest limitation is the associated cost required for a persistent piece of land. This issue is not encountered when using other ABM toolkits or other web-based agent-based models such as NetLogo or HubNet, a component of NetLogo (Wilensky and Stroup 1999). However, such environments are essentially single user environments with limited communication potential. While initially our land was provided free of charge from Nature, due to reorganisation within the company, the area we need for the street of simulations has now been rented. Notwithstanding there limitations, this paper has shown the potential of virtual worlds for ABM and more specifically their ability to link of iconic and symbolic models in a multi-user 3D environment. While the models presented were purposely kept simple for pedagogic demonstration and acting as a 'proof-of-concept', they demonstrate the unique environment that virtual worlds offer in which to explore, visualise and interact with agent-based models. Further work needs to be done exploring who might use such an environment (including its usability) and models but also constraints on how such models could be taken further in Second Life or other virtual worlds such as OpenSim. For example, real-world buildings could be used for pedestrian evacuation modelling. Already in Second Life there are iconic models of the Burj Al Arab hotel in Dubai and the Ajax soccer stadium in the Netherlands. Furthermore, the models presented in this paper demonstrate how agent-based modellers and participants could potentially explore scenarios such as pedestrian egress from buildings in near real time and in 3D, thus identifying bottle necks etc. in such buildings. Moreover, one could envision avatars interacting with agents and agents interacting with avatars in mirror worlds where avatars don't know who is real or synthetic. The authors are grateful to the UK Economic and Social Research Council for funding the GENeSIS grant awarded through the National Centre for e-Social Science. The authors would also like to acknowledge the support of Greater London Authority Economics Unit. A special note of thanks needs to be made to Christian Castle for his discussions and advice on the pedestrian model. We would also like to thank the anonymous reviewers and Mike Batty for their constructive feedback. Finally we would like to express our appreciation to the Nature Publishing group for the provision of land in Second Life. 1However, this is not to say that these are the only agent-based models within Second Life. 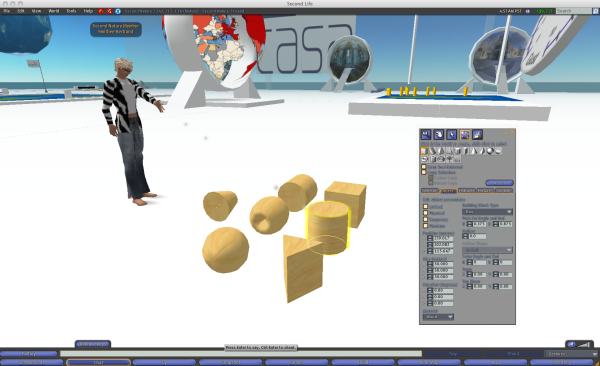 Rehm and Rosina (2008) used Second Life for exploration of norms and social dynamics. Others have focused on changing the configuration of rooms depending upon the number of avatars within whereby the walls and floors are agents; if there are small numbers of avatars, the rooms are smaller and as more avatars join the room, the room itself becomes larger (Maher and Merrick 2005). 2Agents only move to areas where they will be satisfied. If there are no suitable areas, the agent does not move. This only becomes an issue when segregation preferences rise above 90%. 3As an interesting side note, such interpersonal distance preferences have already been observed in virtual environments between avatars (see Yee et al 2007). 4The reader is referred to http://www.casa.ucl.ac.uk/abm/secondlife/ for animations and higher resolution images of these simulation results from the PedTrace application. ANDO, K., Ota, H. and Oki, T. (1988) Forecasting the Flow of People. Railway Research Review. 45(8): 8-14. AVASTHI, A. 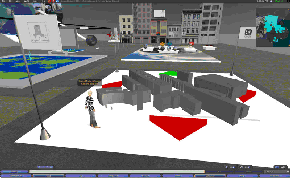 (2006) Second Life: Other Virtual Worlds Reshaping Human Interaction. National Geographic. Available at http://news.nationalgeographic.com/news/2006/10/061017-second-life.html [Accessed on June 6th 2008]. AXELROD, R. (2007) Simulation in the Social Sciences. In Rennard, J.P. (Ed.) Handbook of Research on Nature Inspired Computing for Economy and Management. Hershey, PA: Idea Group. pp. 90-100. BATTY, M. (1976) Urban Modelling: Algorithms, Calibrations, Predictions. Cambridge, UK: Cambridge University Press. BATTY, M. (2007) Model Cities, Town Planning Review, 78(2): 125-178. BATTY, M. and Hudson-Smith, A. (2005) Urban Simulacra. Architectural Design. 75(6): 42-47. BATTY, M., Steadman, P. and Xie, Y. (2006) Visualization in Spatial Modelling, in Portugali, J. (ed.) Complex Artificial Environments, Berlin, Germany: Springer, pp. 49-70. BENENSON, I., Omer, I. and Hatna, E. (2002) Entity-Based Modelling of Urban Residential Dynamics: The Case of Yaffo, Tel Aviv, Environment and Planning B, 29(4): 491-512. BERGER, H., Dittenbach, M., Merkl, D., Bogdanovych, A., Simoff, S. and Sierra, C. (2007) Opening New Dimensions for E-Tourism, Virtual Reality, 11(2-3): 75-87. BROWN, D.G. (2006) Agent-Based Models. In Geist, H. (Ed.) The Earth's Changing Land: An Encyclopaedia of Land-Use and Land-Cover Change. Westport, CT: Greenwood Publishing Group. pp. 7-13. BUCHANAN, M. (2006) A Grand Challenge: Social Simulation for a Healthier Internet. Available at ftp://ftp.cordis.europa.eu/pub/ist/docs/fet/7fp-30.pdf [Accessed on June, 24th 2008]. CASTLE, C.J.E. (2007a) Guidelines for Assessing Pedestrian Evacuation Software Applications. Centre for Advanced Spatial Analysis (University College London): Working Paper 115. London, UK. CASTLE, C.J.E. (2007b) Agent-Based Modelling of Pedestrian Evacuation: A Study of London's King's Cross Underground Station. PhD Thesis. London, UK: University College London. CASTLE, C.J.E. and Crooks, A.T. (2006) Principles and Concepts of Agent-Based Modelling for Developing Geospatial Simulations. Centre for Advanced Spatial Analysis (University College London): Working Paper 110. London, UK. CASTLE, C.J.E. and Longley, P.A. (2008) Emergency Pedestrian Evacuation Analysis: A Review and Interpretation of Software Applications. In Sui, D.Z. and Cutter, S.L. (Eds.) Geospatial Technologies and Homeland Security: Research Frontiers and Challenges. Berlin, Germany: Springer. pp. 209-228. CHEN, K.-T., Huang, C.Y., Huang, P. and Lei, C.L. (2006) An Empirical Evaluation of TCP Performance in Online Games. Proceedings of the 2006 ACM (Association for Computing Machinery) SIGCHI (Special Interest Group on Computer-Human Interaction) International Conference on Advances in Computer Entertainment Technology. Hollywood, CA. Available at http://portal.acm.org/citation.cfm?doid=1178823.1178830. CROOKS, A.T. (2008) Constructing and Implementing an Agent-Based Model of Residential Segregation through Vector GIS. Centre for Advanced Spatial Analysis (University College London): Working Paper 133. London, UK. CROOKS, A.T., Castle, C.J.E. and Batty, M. (2008) Key Challenges in Agent-Based Modelling for Geo-spatial Simulation. Computers, Environment and Urban Systems. 32(6): 417-430. DODGE, M. and Kitchin, R. (2001) Atlas of Cyberspace, London, UK: Addison-Wesley. EPSTEIN, J.M. (2007) Generative Social Science. Princeton, NJ: Princeton University Press. EPSTEIN, J.M. and Axtell, R. (1996) Growing Artificial Societies: Social Science from the Bottom Up. Cambridge, MA: MIT Press. FRUIN, J.J. (1971) Pedestrian Planning and Design. New York, NY: Metropolitan Association of Urban Designers and Environmental Planners. GILBERT, N. (2007) Agent-Based Models. London, UK: Sage Publications Inc.
HACKATHORN, E.J. (2006) Designing an Educational Island inside Second Life for the National Oceanic and Atmospheric Administration (NOAA) Earth System Research Laboratory (ESRL). In D., L. and Kemp, J. (Eds.) Proceedings of the Second Life Education Workshop at the Second Life Community Convention, San Francisco, CA, pp. 12. Available at http://eric.ed.gov/ERICDocs/data/ericdocs2sql/content_storage_01/0000019b/80/1b/ef/03.pdf. HANKIN, B.D. and Wright, R.A. (1958) Passenger Flow in Subways. Operational Research Quarterly. 9(2): 81-88. HOFF, R. (2006) A Virtual World's Real Dollars, Business Week. Available at http://www.businessweek.com/technology/content/mar2006/tc20060328_688225.htm [Accessed on April 23rd 2008]. HOOGENDOORN, S.P. and Bovy, P.H.L. (2004) Pedestrian Route-choice and Activity Scheduling Theory and Models. Transportation Research Part B: Methodological. 38(2): 169-190. HOWE, J. (2008) Crowdsourcing: Why the Power of the Crowd is Driving the Future of Business. New York, NY: Crown Business. HUDSON-SMITH, A., Dodge, M. and Doyle, S. (1998) Visual Communication in Urban Planning and Urban Design. Centre for Advanced Spatial Analysis (University College London), Working Paper 2. London, UK. HUDSON-SMITH, A., Milton, R., Dearden, J. and Batty, M. (2009) Virtual Cities: Digital Mirrors into a Recursive World, in Foth, M. (ed.) Handbook of Research on Urban Informatics: The Practice and Promise of the Real-Time City, Hershey, PA, IGI Global: pp. 270-290. INMAN, M. (2007) Virtual Critters Thrive, Evolve in Online World. National Geographic. Available at http://news.nationalgeographic.com/news/2007/03/070308-second-life.html [Accessed on June 6th 2008]. KLUGE, S. and Riley, L. (2008) Teaching in Virtual Worlds: Opportunities and Challenges, The Journal of Issues in Informing Science and Information Technology, 5(1): 127-135. KAFAI, Y.B., Feldon, D., Fields, D., Giang, M. and Quintero, M. (2007) Life in the Times of Whypox: A Virtual Epidemic as a Community Event, in Steinfeld, C., Pentland, B., Ackermann, M. and Contractor, N. (eds. ), Proceedings of the Third International Conference on Communities and Technology, New York, NY, Springer: pp. 171-190. KORNHAUSER, D., Wilensky, U. and Rand, D. (2009) Design Guidelines for Agent Based Model Visualization, Journal of Artificial Societies and Social Simulation, 12(2)1, Available at http://jasss.soc.surrey.ac.uk/12/2/1.html. LINDEN (2008) Second Life Statistics. Available at http://secondlife.com/whatis/economy_stats.php [Accessed on July 15th 2008]. LOWRY, I.S. (1965) A Short Course in Model Design, Journal of the American Institute of Planners, 31(2): 158-165. MAHER, M. and Merrick, K. (2005) Agent Models for Dynamic 3D Virtual Worlds. In Kunii, T.L., Soon, S.H. and Sourin, A. (Eds.) Proceedings of the 2005 International Conference on Cyberworlds (CW'05) Singapore, pp. 27-34. MANDELBROT, B.B. (1983) The Fractal Geometry of Nature. New York, NY: W.H. Freeman. NARDI, B.A. and Harris, J. (2006) Strangers and Friends: Collaborative Play in World of Warcraft, Proceedings of the 2006 20th Anniversary Conference on Computer-Supported Cooperative Work, Alberta, Canada, pp. 149-158. NATURE (2008) Second Nature. Available at http://www.nature.com/secondnature/ [Accessed on May 16th 2008]. NELSON, H.E. and Mowrer, F.E. (2002) Emergency Movement. In DiNenno, P.J. (Ed.) SFPE Handbook of Fire Protection Engineering (3rd Edition). Quincy, MA: Society of Fire Protection Engineers and National Fire Protection Association. pp. 3-367-3-380. NORTH, M.J. and Macal, C.M. (2007) Managing Business Complexity: Discovering Strategic Solutions with Agent-Based Modelling and Simulation. New York, NY: Oxford University Press. ONDREJKA, C. (2007) Collapsing Geography (Second Life, Innovation and the Future of National Power). Innovations: Technology, Governance, Globalization. 2(3): 27-54. PHEASANT, S. and Haslegrave, C.M. (2006) Bodyspace: Anthropometry, Ergonomics and the Design of Work (3rd Edition). London, UK: Taylor and Francis. PREDTECHENSKII, V.M. and Milinskii, A.I. (1978) Planning for Foot Traffic Flow in Buildings. New Delhi, India: Amerind. PROULX, G. (2002) Movement of People: The Evacuation Timing. In Dinenno, P.J. (Ed.) SFPE Handbook of Fire Protection Engineering (3rd Edition). Quincy, MA: Society of Fire Protection Engineers and National Fire Protection Association. pp. 3-342-3-366. 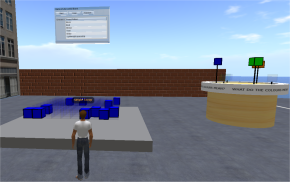 REHM, M. and Rosina, P. (2008) Second Life as an Evaluation Platform for Multiagent Systems Featuring Social Interactions (Demo Paper). In Padgham, L., Parkes, D., Müller, J. and Parsons, S. (Eds.) Proceedings of 7th International Conference on Autonomous Agents and Multiagent Systems (AAMAS 2008), Estoril, Portugal, pp. 1663-1664. RYMASZEWSKI, M., Au, W.J., Wallace, M., Winters, C., Ondrejka, C. and Batstone-Cunningham, B. (2007) Second Life: The Official Guide. Hoboken, NJ: John Wiley & Sons, Inc.
SCHELLING, T.C. (1971) Dynamic Models of Segregation. Journal of Mathematical Sociology, 1(1): 143-186. SCHELLING, T.C. (2006) Some Fun, Thirty-Five Years Ago. In Tesfatsion, L. and Judd, K.L. (Eds.) Handbook of Computational Economics: Agent-Based Computational Economics. Amsterdam, Netherlands: North-Holland Publishing. pp. 1639-1644. TECTONIC (2007) Ants in Second Life. Available at http://www.youtube.com/watch?v=ehEzRUu4_RM [Accessed on June 9th 2008]. WILENSKY, U. and Stroup, W. (1999) Learning Through Participatory Simulations: Network-Based Design for Systems Learning in Classrooms. Proceedings of the 1999 Conference on Computer Support for Collaborative Learning, Palo Alto, CA. YEE, N., Bailenson, J.N., Urbanek, M., Chang, F. and Merget, D. (2007) The Unbearable Likeness of Being Digital: The Persistence of Nonverbal Social Norms in Online Virtual Environments. CyberPsychology and Behaviour. 10(1): 115-121.